Not for early stage dementia residents. Locked facility with very little outdoor and 1:1 stimulation. Only plus is the animals. Gloomy atmosphere, food not tasty and residency is very expensive, even for shared rooms. Clothes and personal items missing very often. Have since relocated to another assisted living where our relative is thriving. Thank you for taking the time to leave your thoughts. We take all feedback seriously and always welcome constructive criticism to inform us on how we can provide better service. We offer a continuum of care for all stages of memory loss, from the early stages to the later stages, and offer specialized programs dedicated to the different needs of our residents. We regret that your experience did not match up to the standards we consistently provide to our residents and their families. Thank you again for taking the time to share your comment. I placed my father here for a brief time after he got dementia. It was so disturbing and difficult for him to be surrounded by all of the other residents with severe impairments. He said he felt like he was living in a mental hospital. It was depressing to visit him. The price is astronomical, especially without a "roommate" but the roommates available made his life so unbearable. I moved him into another facility and he is much happier there. My husband has been in Silverado Encinitas off and on for four years. It’s one of the most expensive places, but it’s excellent because they do a behavioral plan for him. They have very caring staff that work wonderfully with him. I have not found that with any other place. Rachel, thank you for taking the time to share your comments. As you mentioned, our associates provide individualized patient-centered care and cater our behavioral care plans to each resident's preferences, needs and values. We look forward to being a trusted resource for you and your husband in the future. What impresses me about Silverado is that I feel like everyone is always smiling and really seem dedicated to their jobs and the residents, as well. This wasn't the case in all of the places I went. I also like their Nexus program. They have activities that are specifically for cognitive work and have a holistic approach to working with people who have Alzheimer's and memory care. They also have an on-staff gerontologist. My dad's only been there for a few days and it's been very hectic, so I haven't made my total assessment on how I feel about the place yet. They have 24-hour RN care as well as LPNs, and everyone is educated all of the time. I'm pretty good at reading people, and I can see that they really care. It's on three acres of land, so they have more freedom. They have two Shetland ponies, some birds, and a lot of the residents have pets. There are a couple little poodles that are running around, and I'm going to bring my father a cat. You have to pay a $100 fee a month to have care for the pet. Right now, I am a little upset because he has a bruise, and he's got a lot of lower extremity edema. I know he's been seen by the gerontologist already, and he has a heart specialist, but it hasn't been addressed yet. I'm still getting a sense of whether he's going to activities and whether they're doing what they say they're doing. The room is carpeted with some furniture in it, and there's a single bed; it's nothing to write home about. It's a little run-down, but they're planning to do renovations next year. The carpets and furniture need to be replaced. Carol, thank you for recognizing our dedicated and amazing staff. Our associates truly care for each of our residents and treat them with dignity and respect. We understand that the move-in transition can be challenging and hectic, and our associates are here to assist with any needs you may have. Creating a safe, lively environment where residents can thrive is our top priority. Thank you for taking the time to share your feedback! My mother has been a resident at Silverado Encinitas, since June, 2013. The staff is friendly, caring and always available to answer my questions. My mother has been in several facilities, but never been so happy as she is at Silverado. They offer many activities to keep the residents entertained. Amy, R.N., Director of Health Services is genuinely caring, with the residents and their family. She takes time out of her very busy day to answer my emails the same day. We love hearing from Silverado family members! Feedback like this truly motivates us to change the way the world cares for those with memory impairments, and continue to enrich the lives of those affected by dementia. As you have experienced, Silverado Encinitas is one big family and there is always love flowing through the halls. Treating our residents with love makes all the difference! Thank again, Cindi, for taking the time to share your comments! We look forward to continue to be a trusted resource for you and your family. My wife's mother really needed to move into care last year. We spent time looking at many places and chose Silverado, because the quality of facility and services appeared first class. We were nervous about how she would accept the move, but the staff were so kind and welcoming that my mother-in-law took to it straight away. There are lots of activities, as well as many animals around the place, including ponies that roam the garden. The staff really seem to care about their residents. Family is encouraged to stop by anytime and join in at meals or activities. Rooms are light and airy with individual "memory cabinets" outside, telling you something of the resident's life. My mother-in-law really enjoyed her time there. She improved mentally due to the social interaction and said, "Everyone is so kind to me here." Mph92101, thank you for sharing your comments. We are glad that you had a positive experience and enjoy our family-like environment. As you noticed, Silverado Encinitas is a warm, lively place where hobbies and interaction flourish and engagement is constant. Thanks again for your comments and we look forward to continue to be a trusted resource for you and your mother-in-law. My husband has been at Silverado Encinitas for 11 days. The reason I chose this one is because I live close to this facility and I can go every day. This place seemed really good to me, and yet it turned out, it's disappointing because they don't do what they say they're going to do. I am a little disappointed in them. My husband can't communicate because he has the type of dementia that has impacted his speaking ability, and because he can't talk, he wouldn't be able to participate in their activities. However, when they say they do activities, what they're saying is he is not in his room all the time. So he is not in his room all the time, but he is sitting in a chair, a wheelchair, or a walker, and to me, that's not activity. Just because you're not in bed doesn't mean you're doing activities. Their activity level for him is just unacceptable to me. They don't have any activities for my husband. Thank you for your comments. We take all feedback very seriously and are always available to discuss concerns. Through dementia specific engagements, we are able to provide a lively environment where residents can thrive. We customize each engagement plan to each resident’s personal preferences and needs, which can be an ongoing process. For our residents who are further progressed, we offer many sensory activities that involve the five senses and tactile stimulations, such as music circles, pet therapy, hand massages and many others. We are sorry that you had a negative experience and hope to have the opportunity to resolve any issues or misunderstandings directly. My wife is in Silverado and it is a fairly large and a very good facility two floors and are somewhat separate by the degree of Alzheimer's. It is excellent and I can't see any place as good as them. They take really good care of the assisted living patients. One thing that I really like is that when somebody is taking care of one patient and they see somebody that's having trouble, they will stop and help that person. They are just really good. The food is a pretty balance diet, very good and satisfactory. They have a number of activities like newspaper reading, yoga and exercises. They have very good routine there. They allow pets to run free. They have a fenced area outside so people can go out to the yard without being endangered and yet they feel free. We are happy to hear that you had a positive experience. Silverado is a socially vibrant community filled with visitors and pets, and often times children as well. As you noted, our vibrant environment makes Silverado feel like a home. Thanks for your feedback! The only place I know that could actually handle highly disruptive and agitated behaviors that won't ship you out the door is Silverado Senior Living. My husband went there. I had enough experience about it to know that even if I had to drive 65 miles one way a day or stay down there, it was worth it for my peace of mind. My husband was there for about 20 days. It's the most expensive facility that I know of. At first I was questioning if the extra money would equate into that high of a quality of service, but now having been there, I can say that it was worth every penny. The facility was excellent. The care was fantastic and very attentive. Everything they promised they do, they did. The staff was highly friendly, cooperative, caring and compassionate. I would also say that I suspect that all of their facilities are of equal excellence. They had a philosophy by their founders that love is greater than fear and they treat each patient with compassion, care and kindness that is unsurpassed from what I could see. Thank you sharing your Silverado story! We are very happy to hear that you had a positive experience. As you noted, our associates are committed to providing attentive, compassionate care and excellent service to not only our residents but to their family members as well. Thank you again for sharing your comments. The girl that I talked at Silverado was very professional and very knowledgeable. Everybody that we talked to were all very helpful. They were also able to keep in touch with me. Marcelle, thank you for taking the time to review our Encintas community. We are happy to hear that you had a positive experience. We hope to continue to be a trusted resource to you and your family! Wonderful, attentive staff; full schedule of activities to keep residents mentally challenge and stimulated. Well-maintaind facility. We are glad you had a chance to experience the Silverado difference at our Encinitas community. We hope to continue to be an educational resource for you in the future! My mother was at Silverado, we moved her. My sister felt is was not clean.....A serious virus went around,ppl became seriously ill and worse. Her belongings dissappeared, it was all the good stuff that dissappeared,,,,,,so we questioned who took what??? 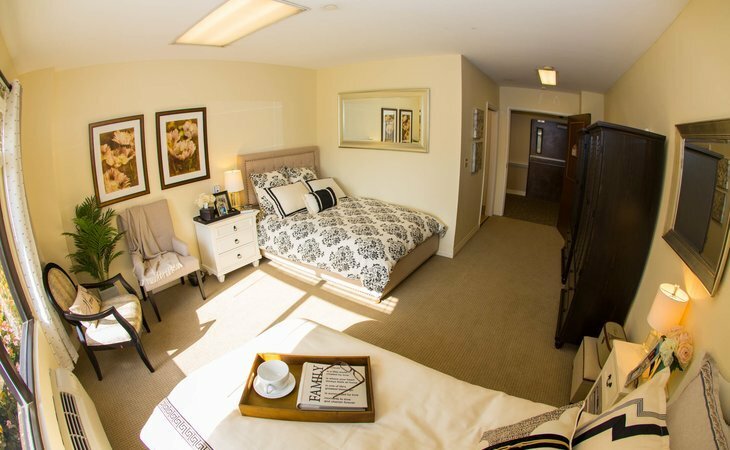 What should caregivers and potential residents know about Silverado Encinitas?